With a small footprint and low profile, it will fit unobtrusively on any desk or in any workspace. Network ready, it will produce immaculate black and white output at a speed of up to 22 pages per minute. USB 2.0, 1200 dpi, A4, 25 Pages per Minute. Studio: KYOCERA. Size: Printer With Start Up Toner. Type: Accessory. Orders will be fulfilled by our own warehouse or a 3rd party supplier at our discretion. Automatic Duplex Printing (2-sided). Print up to 28ppm (Mono). USB 2.0 & Ethernet connections. We will always go out of our way to source the product you are looking for. Brother MFC-1910W Mono Laser Multifunction Printer. Brother MFC-1910W Mono Laser All-In-One Printer MFC1910WZU1. The Brother MFC-1910W is stylishly designed and compact enough to fit onto a shelf or workstation. Not boxed but in AS NEW condition - Never connected to a PC or setup. Printer Spares. Any item that is not photographed will not be included. We don't accept Cheques or Money Orders. If there is an issue with your item and you believe it to be faulty we will help you as quickly as possible. A wireless black laser printer. NO COLOUR. Automatic Duplex Printing (2-sided). 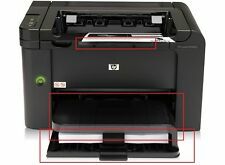 Print, Copy, Scan and Fax functions. We will always go out of our way to source the product you are looking for. Add to Favourites. USB, Parallel & Ethernet connections. 20ppm Print Speed. Brother HL-1210W Mono Laser Wireless Printer. Brother HL-1210W A4 Mono Laser Printer. 150 Sheet Input Tray. With single feed draws, there is no confusion surroundimg the uses and capabilities of the unit, ensuring mono prints quickly and efficiently. The small HL-L2350DW, is compact, yet quiet without compromise. You can carry on working, while printing at full speed, without being interrupted. Built to perform for longer. The HL-L2350DW, has been designed with you in mind. Unknown tonner remaining. Office Furniture & Fittings. Whiteboards Accessories. Video Presentation Units. TFT Monitors. Tablet PC's. Servers & Components. Professional Audio / Visual. 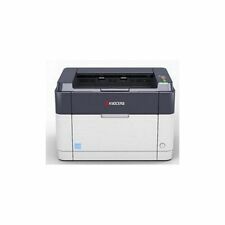 Brother DCP-1610W A4 Mono Laser MFP - BRAND NEW! If so, then the Brother DCP-1610W Mono Multifunction Printer, with its ability to print, copy and scan is the ideal choice. Compact enough to fit onto a shelf or small desk, this Brother MFP produces an outstanding quality of print at great speeds. 5 out of 5 stars - Brother DCP-1610W A4 Mono Laser MFP - BRAND NEW! 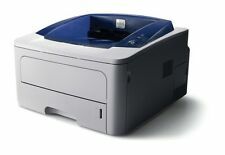 17 product ratings17 product ratings - Brother DCP-1610W A4 Mono Laser MFP - BRAND NEW! You can rely on this mono laser printer to do its job while you concentrate on yours. Up to 20ppm Mono Print. 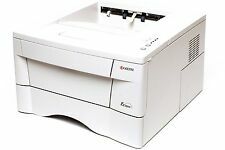 Robust 3-in-1 laser printer, with wireless connectivity. Best choice value bundle for printer users needing extra functionality. Print up to 25ppm (Mono). Parallel & Ethernet connections. Add to Favourites. We will always go out of our way to source the product you are looking for. USB 2.0, Ethernet & Wireless connections. Print up to 22ppm. We will always go out of our way to source the product you are looking for. 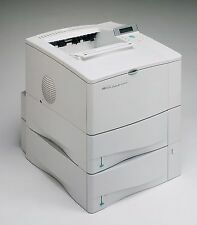 HP Laserjet Pro M227sdn A4 Mono Multifunction Laser Printer. Up to 20PPM Print Speed. 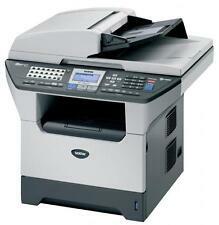 Fast print speeds of up to 20ppm and 150 sheet paper input. Up to 20ppm printing speed. Brother HL-1210W (All in Box) A4 Mono Laser Printer. You can rely on this mono laser printer to do its job while you concentrate on yours. Automatic Duplex Printing (2-sided). USB, Parallel & Ethernet connections. Print up to 22ppm (Mono). Add to Favourites. We will always go out of our way to source the product you are looking for. Install the Samsung ML-2851ND printer at your office and simply fulfil all your printing needs at the speed of 8.5 seconds per page.